Through the first quarter of the 2015 season, Peyton Manning is on pace to have his worst year since he entered the league with a miserable Colts team in 1998. The future Hall of Famer with a career 97.2 quarterback rating currently sits at an 80.8 rating on the season through four games. At this clip, only that ’98 season – in which he posted a 71.2 rating – would be worse in his now 18 years in the league. 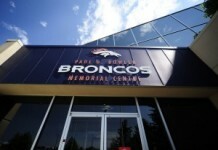 But the Broncos are undefeated and neither Manning, nor head coach Gary Kubiak seem concerned about the decline. Following Sunday’s 23-20 win, in which Manning was picked off twice en route to a 68.9 rating on the day, both Kubiak and his quarterback made it clear that there’s no lost confidence. Manning knows the impact that turnovers can have on the game. But Manning also knows that it’s equally important how the player and the team responds. Some Broncos fans might be hitting the panic button because the offense isn’t putting up video game stats like in years past. But as Mile High Sports columnist James Merilatt points out, that’s ignoring the fact that Manning has led important drives to deliver or seal victories in each of the first four games. Manning seems confident that the offense will start to click and eliminate the mistakes. Kubiak knows that keeping Manning as a major part of the game plan is still a recipe for success. 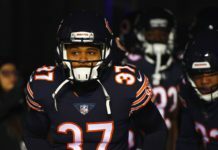 “I told Rico [Offensive Coordinator Rick Dennison] and [Quarterbacks/Passing Game Coordinator Greg Knapp] Knapper, ‘We’re going to keep throwing it because he’s the guy that will get us back in position to win the game,'” he said Sunday. 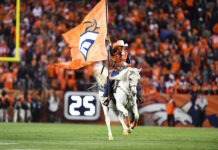 The Broncos have indeed overcome those setbacks on every occasion, and the team can close the books on the first quarter of the season with an unblemished record. 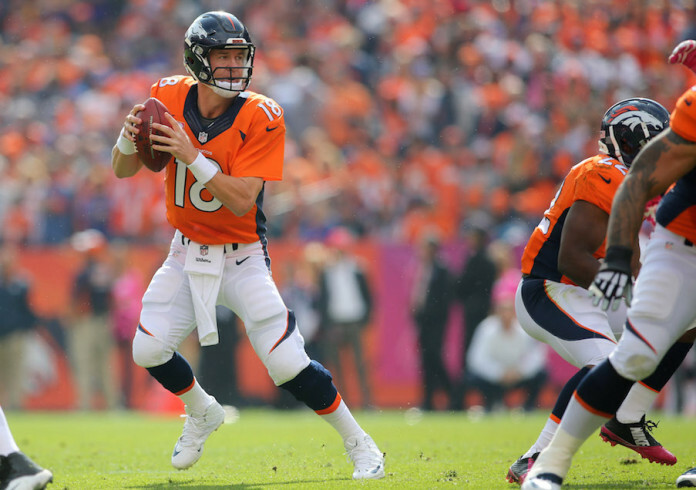 Manning’s numbers may not be jumping off the page, but Denver is entering the heart of the season in the driver’s seat of the AFC West, having already defeated two playoff teams from last year. There’s no individual player rating for that.